International political analyst and a prominent supporter of Pres. 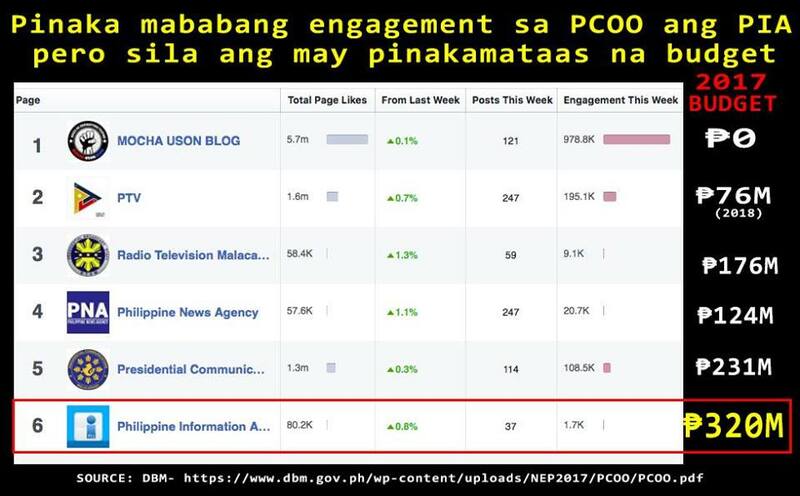 Rody Duterte on social media with hundred of thousand of followers revealed on her latest social media post that PIA under Director General Harold Clavite got the lowest engagement on social media despite it's whooping P320 million budget. According to the expose of Sass Sasot the Philippine Information Agency under ex-Bam Aquino's employee Harold Clavite has the highest budget among all the agencies under the Presidential Communications Operations Office (PCOO). The PIA is the agency responsible for raising awareness on the advocacies of the Office of the President but it failed to delivered its needed performance. Sass Rogando Sasot stated that despite the PIA's over 300 million budget, it has failed to raise awareness of Filipinos on one of the major advocacies of the president. Recent SWS survey shows 75% are not aware of Federalism. The Facebook Page of the Philippine Information Agency is also performing poorly. Facebook is considered as the No. 1 social media platform in the Philippines with around 50 million users, yet PIA has only 1.7K engagement. Sasot noted that "it what a 300 million budget give us." The PIA under the leadership of Director General Harold Clavite made headlines on social media after his recent pronouncement calling for the resignation of PCOO Asec Mocha Uson over the controversial alleged Federalism jingle blunder featuring a video with Drew Olivar. 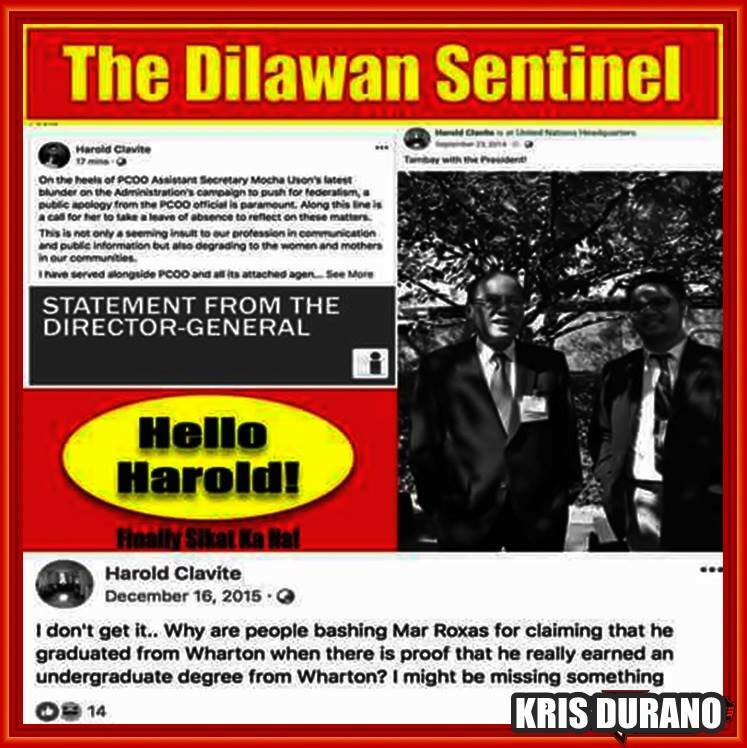 Netizens and supporters of Mocha Uson digged deeper into the personality of Harold Clavite as they discovered that the said PIA head is a former employee of Sen. Bam Aquino, a close ally with Pres. Noynoy Aquino and worked as one of the member of the campaignn team of Mar Roxas during the 2016 elections. 1. Despite having over 300 million budget, it has failed to raise the awareness of Filipinos on one of the major advocacies of the president. Recent SWS Survey shows 75% are NOT AWARE of Federalism. 2. Its FB Page is also performing poorly. FB Is the #1 social media platform in the Philippines with around 50 million users. Yet PIA only has 1.7K engagement. That my dear is what a 300 million budget give us.